ST. PETERSBURG, FL – Seagrass meadows are the most widespread coastal ecosystem on the planet and they fulfill numerous essential ecosystem functions. Given global declines in seagrass coverage and increasing urbanization of coastal areas, it is critical to better understand seagrass ecology, including the role of their associated microbiomes in productivity, resilience, and health. 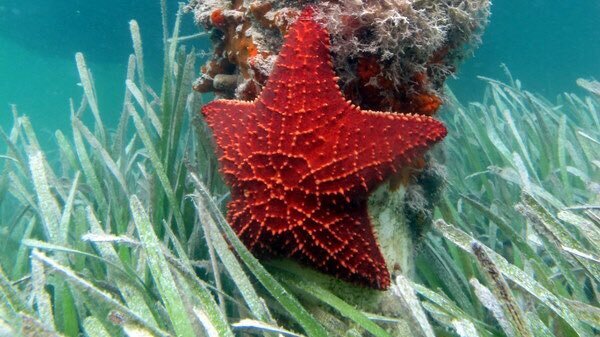 Through a collaboration with the Florida Fish and Wildlife Research Institute, USF College of Marine Science researchers describe the first virus in the widespread seagrass species Thalassia testudinum (turtlegrass) in Tampa Bay, Florida and show that it is related to potexviruses that infect terrestrial grasses.